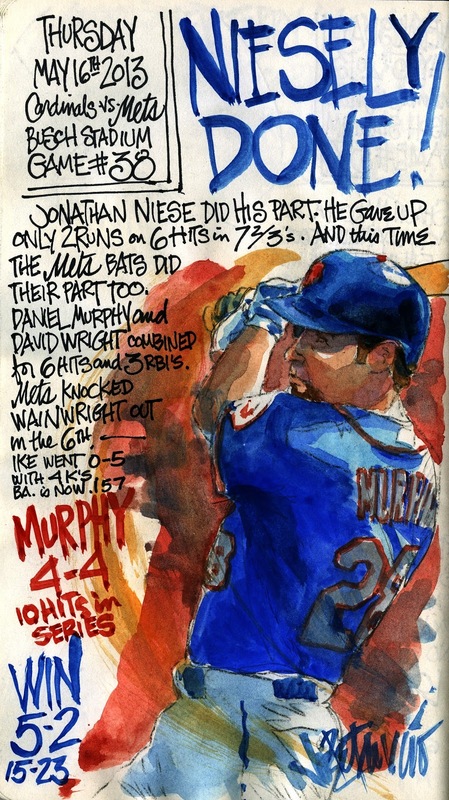 My Mets Journal: Niesely Done ! DO U SELL THESE DRAWINGS???? not really. I am thinking about it. Stay tuned I'll let you know. Which one are you interested in? How about a book version of your journals! I would love it ad I'm sure Nets fans will too.